A hike around Lake Como. If you’re a baby boomer traveler who’s in the know, you probably think I mean Lake Como in northern Italy. Are you laughing at my idea of hiking around one of Italy’s largest lakes? Fooled ya! 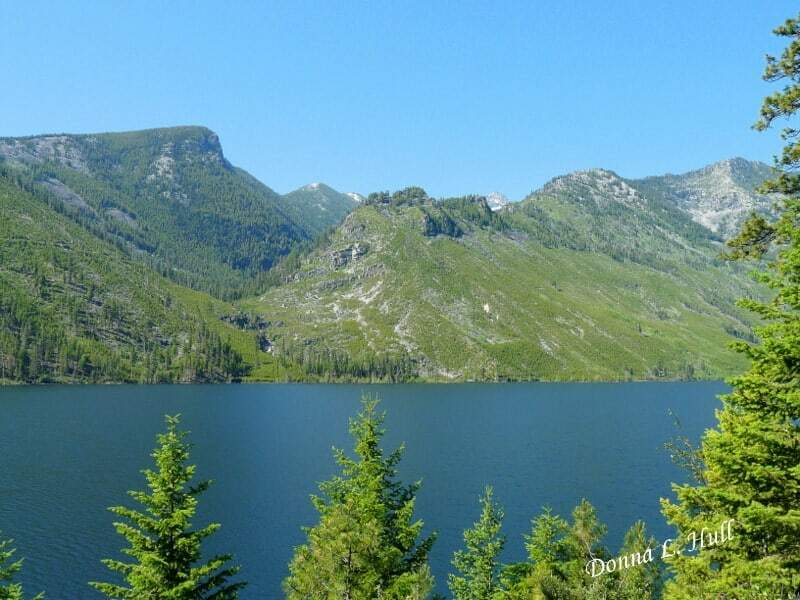 I’m talking about hiking at Lake Como in Montana. 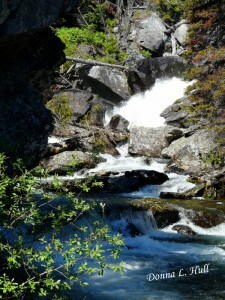 When Alan and I traveled to Montana’s Bitterroot Valley, we joined our friends, Jack and Sue, for a summer hike. Their suggestion of Lake Como proved to be the perfect hiking reintroduction for two out-of-shape baby boomers (yes, that’s what an extensive travel schedule has done to our fitness level). The Lake Como National Recreational Loop Trail is a 7-mile hike that encircles the lake. We began at the south shore, where a 1/4-mile paved interpretive trail leads to the beginning of a 2.5-mile hike to a bridge that crosses a waterfall. The mostly level hike kept close to the lake’s shore, with a few rocky places where we had to pay attention to our footing. Of course it was hard to look down when our boomer eyes wanted to travel upwards to the patches of snow still visible on the Como Peaks. And then there was the osprey guarding her nest in the top of a ragged-looking tree. Rather than hiking the entire loop, we turned around at the waterfall to retrace our steps back to the parking area, making it a 5-mile hike in all. After arriving back at the parking lot, we hopped in the car to drive to one of the picnic areas. Our prime spot provided a view of Lake Como’s sandy beach area where kids (and adults) played at the water’s edge. A motor boat zoomed in front of us pulling a young water skier who yelped out each time the frigid water sprayed him. Baby boomers will find plenty of active adventure at Lake Como. The south hiking trail shares access with horseback riders who use the path to access the backcountry. The loop trail is also popular with mountain bikers. Birdwatchers might catch their first sighting of a bald eagle or migrating loon. 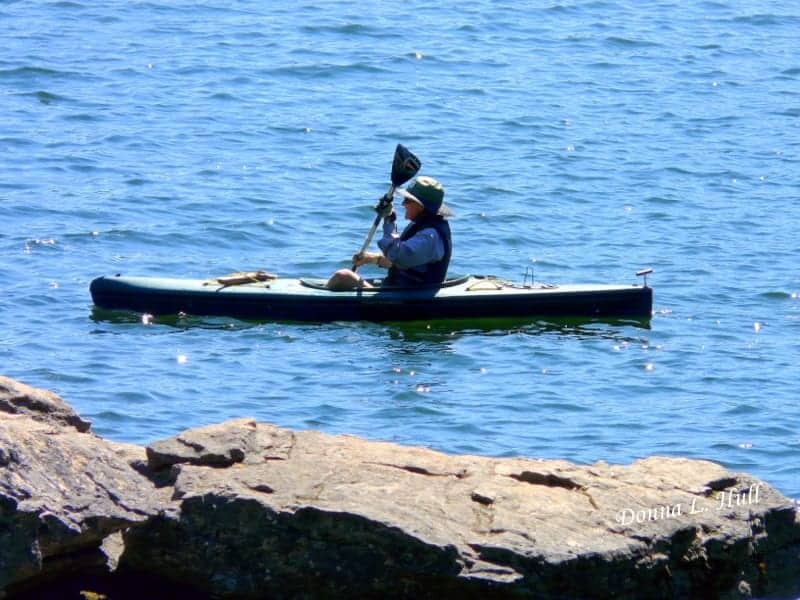 Of course the lake also offers recreational opportunities to kayakers, fishermen and motor boat enthusiasts. Are you a boomer RV’er? Lower Lake Como Campground includes 11 pull-through paved sites with electrical and water hookup, as well as accessible toilets. So, how did the world end up with two lakes named Como? Father John Ravalli, an Italian priest who arrived in Montana in 1845 to minister to the Indians, named the mountain lake for the one in his beloved homeland. So many hikes, so little time. Make the most of your visit to Big Sky Country by checking out our Montana Hiking articles. Have you traveled to Lake Como in Montana? Join the conversation at the My Itchy Travel Feet page on Facebook or send us an email to ask a question or share your experience.